Welcome to A-Plan, Motor Direct, your nearest branch. 2 Des Roches Square, Witan Way, Witney, OX28 4LE mile away. 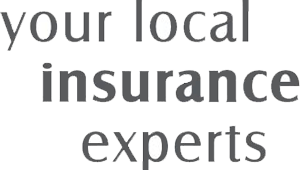 As your local insurance broker, A-Plan Motor Direct has been serving clients in your area for over 50 years. We have specialist facilities for private car, home & contents and commercial vehicle insurance. Motor Direct is the national centre for A-Plan Insurance, looking after clients who require the expertise, knowledge and friendly service of a local branch with the ease and convenience of arranging and administering your insurance over the telephone. This is really appreciated by our clients and is one of the many reasons 8 out of 10 clients choose to renew their policies with us. We offer a wide range of competitive insurance products from car, van & home insurance through to cover for specialist vehicles like motor homes and motorcycle carriers. Our in house claims specialists are on hand to assist if you are involved in an accident or need to make a claim, helping to ease the burden at this stressful time. Call our experienced team of professionals who can provide advice on the policies we offer and identify which best meets your needs. Your Motor Direct Branch Manager. Get the right cover at a great price! Put our local team to the test to see how we can help you.